We might not know each other personally, but if I were to guess, I’d feel quite confident in assuming that you DON’T have time for spending hours in front of the fireplace while blissfully relaxed over an embroidery pattern. (Actually if you do, please email me and tell me more about yourself. I want to know how you do it.) Us creatives spend a lot of time fantasising about images of ourselves being creative gods or goddesses in a state of bliss, producing masses of beautiful stuff. But in reality most of us are holding a vacuum cleaner in our hand and not an embroidery needle. Or the washing basket, a child, a grandchild, or a myriad of other commitments we all have regardless of our stage in life. I have friends who are retired yet too busy for pursuing creative leisure. We can easily agree, I think, that most of us would say we have no time for something like embroidery (despite that above mentioned fantasy). But what if we do and we just don’t know it? What if there is time and space and we just don’t notice it because we’re so busy being busy? Imagine not noticing that you have another bank account that you forgot about or because you’ve been focused on using another one and you totally missed that you have a spare $10,000. You’d never do that with money, but we do this with our time ALL THE TIME (pun intended). We budget our money but we rarely budget our time. We keep track of our spending but we don’t really keep track of where we spend our time. If you’ve fantasised about being that creative god/goddess read on.. there is time. I’ve tracked my time twice over the last year in two different ways. One was to firstly list all the things that were most important in my life and then track over a period of a month what I’m spending most of my time on and see if it matches what I said was super important to me. (This was following reading the book “The Power Of Full Potential). Boy was I surprised. It was a bit like saying that eating healthy food was important to me and then finding out that I’ve been living on popcorn and soda for a month. The second time I tracked my time was when I was curious about how much time I spend doing housework and using my car. It FELT like I was forever cleaning and driving, but I wanted to be sure. So I got a time tracker app and mapped my time. Yup, I was cleaning and driving. I did way more cleaning than I wanted but the driving wasn’t as bad as I thought. Why am I telling you all this? What the heck does it have to do with embroidery and finding time for it? Two things in fact. Firstly, if you have creative desire and your heart sings when you see Pinterest images of tactile crewel embroideries that your hands are busting to get into, and you DON’T make time for that desire you will be unfulfilled and you’ll feel that in other parts of your life. It might make itself known as frustration at your kids, or not liking how you look or whatever. A denial of our creative urges is unhealthy and the urges don’t go away just because we’re busy, we just end up getting frustrated without realising that we feel in some way unfulfilled. There was a whole book written about this called “War Of Art. Don’t fight against your creative desires, you won’t win. Secondly, time is not some fixed thing that is out of our control. It really isn’t. You’ve no doubt heard of people whose lives have changed by some tragedy or some news of their health and suddenly they find 6 “spare” hours per week for yoga classes and meditation. The change comes about from a shift in perspective and a slight change in the direction of our focus. If you’ve felt that you’d love to do some needle work, relax over a lovely design and create something beautiful with your hands, you CAN find time and you deserve to use your time for yourself in this way. You don’t need to reshuffle your entire schedule. It is more about becoming conscious and observing where you’re spending your time and what you’re doing with it. Then becoming conscious about what it is that you would actually prefer to be doing. Then slowly making choices in the preferred direction. Just small choices every day will be enough to allow you to reclaim more time for what you want to do. I did this after I tracked my cleaning/driving time. I started asking the kids more frequently to help out and stopped worrying that things weren’t done to my standards. I also turned a blind eye to a few messes here and there. You see, we get so busy in life that we forget to pay attention to what actually makes us happy. I can tell you that on my happiness scale sitting down to embroider in a messy lounge room is way better than spending that time cleaning the lounge room. I learned that my life isn’t out of control if the clean washing sits in the basket for 3 days after it came off the line. Don’t deny yourself your creative calling. If your hands and heart are drawn to embroidery follow them and give them time. You will be rewarded. Lastly if you’ve read all this and are busting to jump into a project but don’t know what to start, I recommend something small. Small is good! Small should never be dismissed. A project that will take you 15 minutes a day over a couple of weeks or even just a week will bring you enough of a sparkle to make you smile at your own talent. 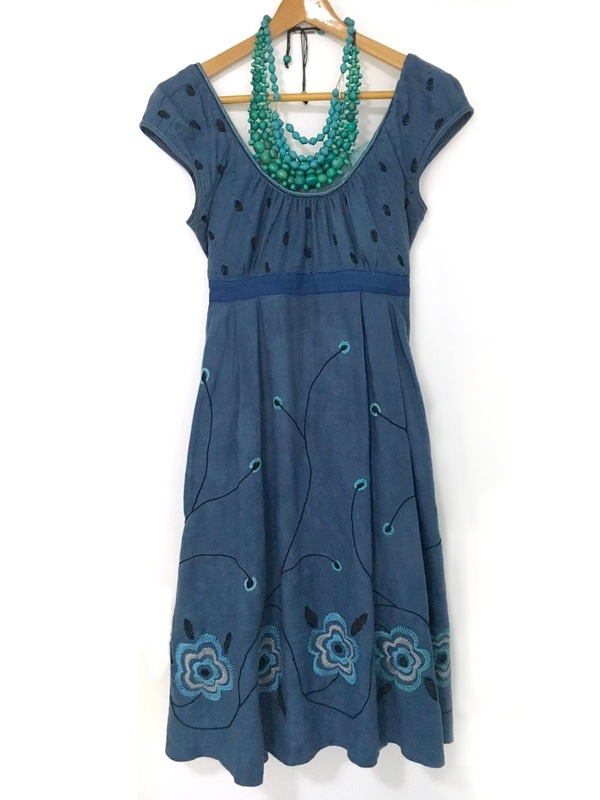 If you’d like an idea jump onto Mary Corbett’s site www.needlenthread.com. I have been a fan of her tutorials for years and highly recommend her site as a source for learning. Have a look at border stitches and choose one to do around your favourite tea towel. Just for a little project that you can start and finish and see the result at the end. And, if you’ve read this far, then you must be busting to get your hands into something. 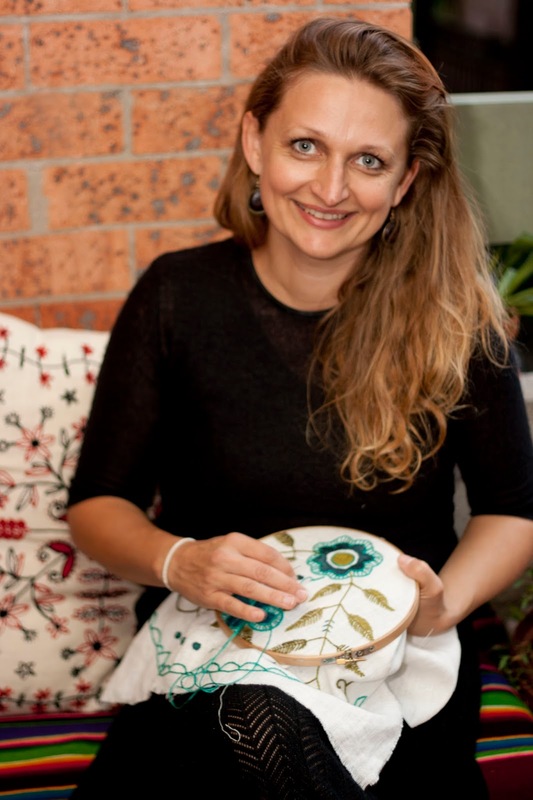 I will be running one or two free embroidery workshops in September, in Lane Cove (NSW Australia), depending on demand. Reply to this email and let me know if you’re interested and let me know how much (if any) time you have for creativity. Would you like to have more time? Or is it that you lack inspiration or ideas? In my workshop you can learn a few new stitches, but more importantly I’ll give you ideas on what to do and get you inspired to stitch and enjoy and relax and see the beautiful things that your hands can make! With love and creative freedom. When you see a large piece of fabric, be it a coat, table cloth or big cushion covered in embroidery do you immediately think: "wow that must have taken for ever!" Well sometimes it does. Some intricate and complex embroideries do indeed take a long time, but not all. It is quite possible to achieve a beautiful effect without all that much work. It all depends on what type of stitch you choose, what design you choose and what colours you choose. 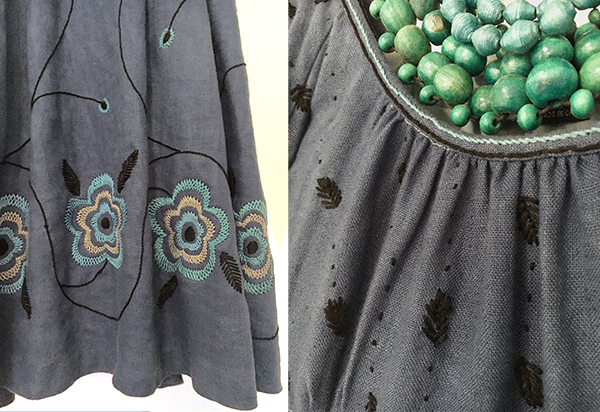 I'd like to share this example of a dress I finished recently because it did not take long at all. In total about 2 weeks of stitching about half an hour each night and a little more on weekends, but by no means hours and hours on end. So that's about 8-10 hours. The time is relative here. This may seem like a long time to some or like a very quick project to others. It depends on how much time you have available AND... most importantly what value you would get out of a project like this. It's not enough to count the number of hours and decide if you would or wouldn't tackle a project. You really have to ask yourself what you would get out of it. You could easily spend 8-10 hours (or more!) embroidering a table runner that only comes out at christmas time and no one even notices your handi work! Or you could choose somehting that takes less time but has a greater impact in your life. For me, I love clothes. Wearing this dress brings me so much joy. It's unique, no one else has one like this and I've put on it my favourite colour combinations. So to me, the 8-10 hours spent on it brought great value. A big return on time invested. I urge you to look for value in all your chosen projects. Ask yourself (in Marie Kondo style) "will this bring me joy?" Colours. Colours can create 100 x more impact than some fancy embroidery stitch. Choose your favourites, go for big contrasts, popping colours, light threads on dark fabrics. Easy stitches. I like to stitch quickly and not labour over 1000 tiny french knotts to cover an area of a coin in 2 hours. For the dress I used the herringbone stitch for all the flowers, the stem stitch for all the line work and the leaf stitch for all the leaves. That's it. A word about the herringbone stitch. The link above will take you to Mary Corbett's site where I send all my students for improving technical skills. This is a gerat stitch to get to know because it will serve you as a filling stitch in so many ways. When you're practising it, try going in curves, filling outlines areas and tightening the stitches. Get your sampler out and practice. You'll see that Mary makes the stitches quite far apart but you can play with the distances and achieve all sorts of effects. 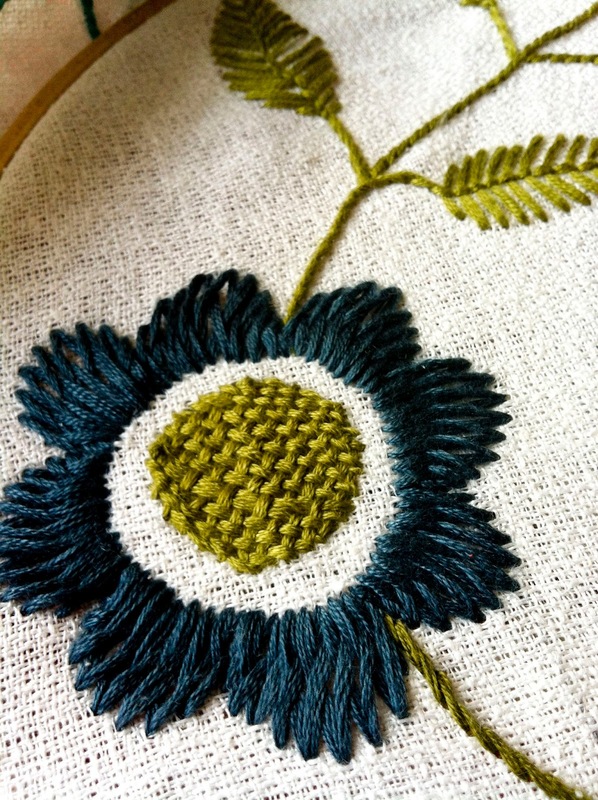 I will soon be posting a lesson on how to do flowers like these in a herringbone stitch. The main message here is this; ask yourself what value you will get out of a chosen project. Do not jump into something just because it looks amazing on Pinterest. Will you use it, wear it, display it in your home? We don't spend anywhere near enough time questioning our motivations before going ahead with all kinds of projects. And thus we waste time later and waste materials when we don't finish things. Keep things simple for yourself, be realistic with your time and use your favourite colours. With love and creative freedom! P.S. Do you embroider your clothes? What do you love about clothes decorated in embroidery? Please leave a comment below, I'd love to hear from you! I get it. You’re impatient. You sit there with your embroidery and you’re watching as your needle goes in and out making tiny half centimetre stitches. 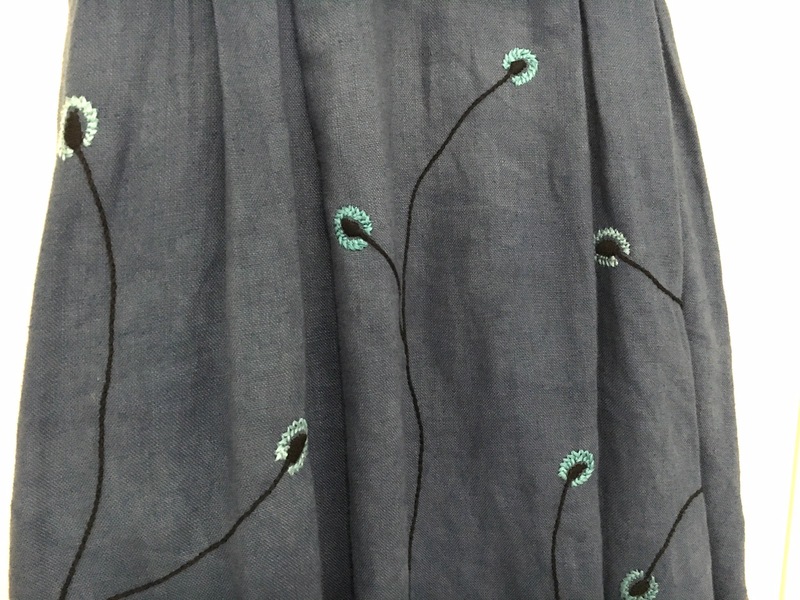 You look at the design drawn on your fabric, it looks 100 times bigger than what you’ve embroidered so far. To stitch a few centimetres takes what seems like FOR EVER. Your thread has become tangled, you’ve just realised that some fabric got caught under your hoop and you’ve stitched it together with the stretched fabric. You untangle the thread, drop your needle on the carpet, can’t find it. It’s so frustrating! Who the heck said that embroidery was relaxing and joyful!? That’s not joy! What kind of problems and anxiety are we experiencing while embroidering?! Agonising pain and inner turmoil? Gnashing of teeth and eternal suffering? No; tangled threads, dropped needles, running out of materials, not knowing how to do a stitch and taking on a massive project when you don’t have a year to devote to it. Those are pretty much the biggest “problems” for embroiderers. And each one has an easy solution. · Tangled threads: stitch slower. When you pull your thread through, pull it out slowly. Especially if it’s very long. It’s only the long threads that have a tendency to get tangled. Tangles are frustrating but stitching slower will eliminate that for you. When you pull your threads through too quickly you are trying to save time but end up in a mess and then waste more time. So this is counterproductive. Like in other areas of life, when we rush we create problems. · Dropped needles: prepare. If you’re going to embroider in a park, bring spare needles. Don’t waste your time looking for a needle in the grass. If you’re sat at a table have a pincushion ready and always use it. And I recommend getting a magnetic pin finder from the haberdashery shop and if you drop a needle on the carpet it’s so much easier to wave a magnet around than it is trying to use your eyes. · Not knowing a stitch: this CAN be frustrating, if you let it. There are many videos available online showing you how to do a stitch and I always direct my students to this absolute gem of an embroidery encyclopaedia www.needlenthread.com. Check it out, Mary Corbett is amazing at giving detailed instructions. I would keep this site as the only one you’ll ever need when it comes to technical skills in needlework. Worst case scenario, if you truly are having trouble with a stitch, swap for something else. 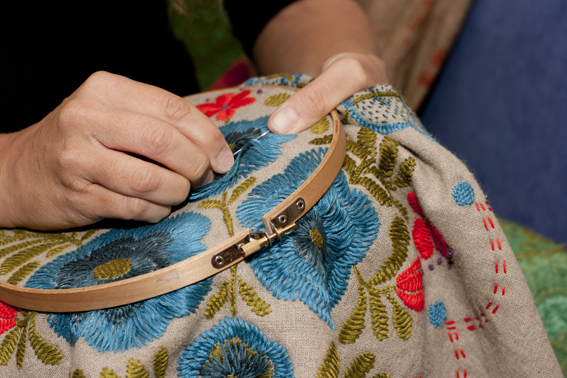 Do not allow a silly stitch to ruin your piece of art. It’s a stitch! It’s not your boss, YOU are the boss! If you just can’t master the leaf stitch but have a leaf shape to fill in, by all means have a look at other stitches on www.needlenthread.com or fill it in with a satin stitch or even tight running stitches. There are no rules. · Project is too big: your eyes are bigger than your belly. If you’ve taken on a reproduction of a 17th century 3m x 4m French tapestry, chances are you will indeed become ‘impatient’ (pain and suffering included). But even if your project isn’t THAT big, if it’s not suited to how much time you have on your hands or your skill level then it may as well be a 17th century French tapestry. Several years ago I started a world map. It was going to be a wall hanging above my bed. I finished Africa and Madagascar before I thought: “Why do I want a world map?” And I had no answer. So, choose projects according to your available time, interest and skill level. Seriously. Be brutal and question your inner excited crafter that’s shouting: “This fully embroidered bed canopy is going to be sooo amazing!!! Do you consider yourself impatient when it comes to embroidery? Have you quit projects in the past because you became “impatient”? 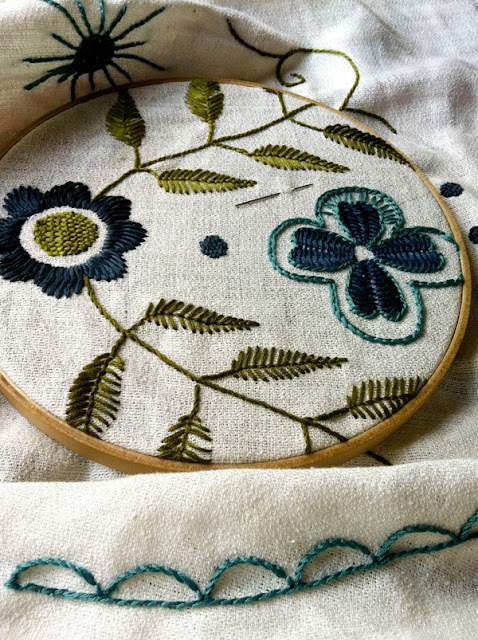 I’d love to hear from you about your own frustrations with impatience in embroidery. Please leave a comment below!